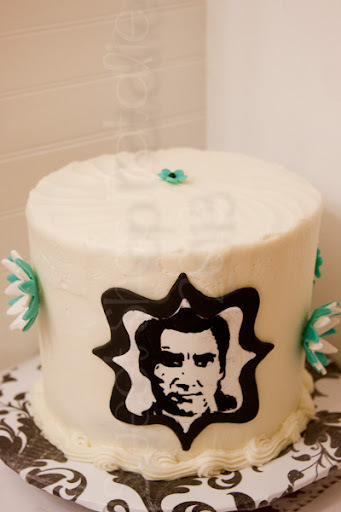 My friend Michelle had a birthday last week and she has a little fascination with Clive Owen and Javier Bardem. So when Michelle's besty asked me to make her a cake I knew I needed to do something with these two men. 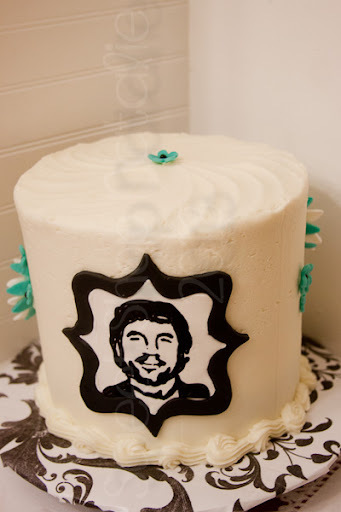 I had different thought rolling around in my head and thought I could just print out their pictures on sugar sheets but since had a little bit of plain sugar sheets on hand I thought I would see if I could do it my self. So I chose a couple of pics on the internet and then pulled them into Photoshop I then used the stamped overlay and then projected the image on the sugar sheet and traced out the black outlines then I filled them in with and edible felt marker. I sadly had to be out of town the night of the celebration but I hope the girls that were there celebrating had a great time and enjoyed the cake. 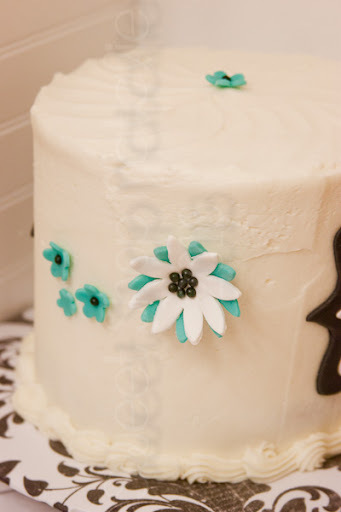 I made a red velvet cake with white chocolate cream cheese frosting and decorated with modeling chocolate.